As you can tell, I am crazy about alliteration lately–Work in Progress Wednesday, Silent Sunday–-and I’m thinking about starting (Avoid my) Mistake Mondays and Flower Friday–Thursday seems to defy alliteration–any suggestions?? 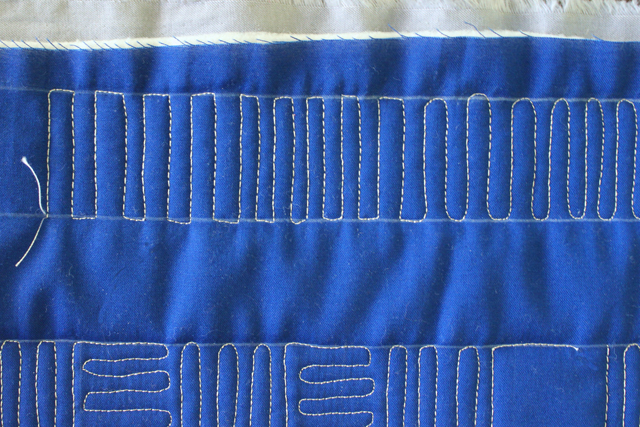 One very simple, but very effective quilting pattern is straight lines. Repeated, straight lines create a visual break between curvy motifs. You don’t need to get fancy. 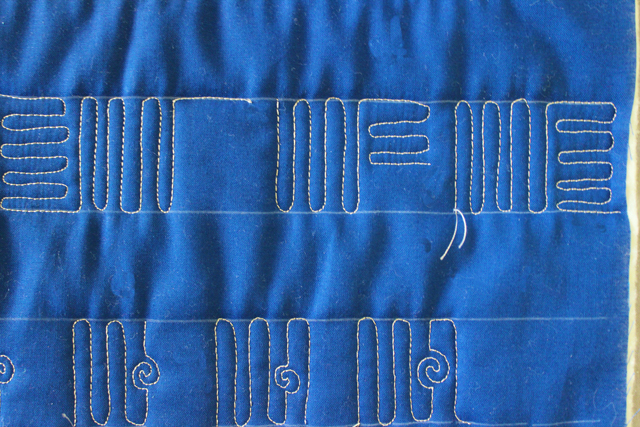 Straight Lines look beautiful because of their simplicity as well as the symmetry and rhythm of the repeated pattern…very comfortable for the eye to rest…In the sample below, I stitched angular lines and then morphed into a curved version. (In a quilt, I would choose one or the other.) 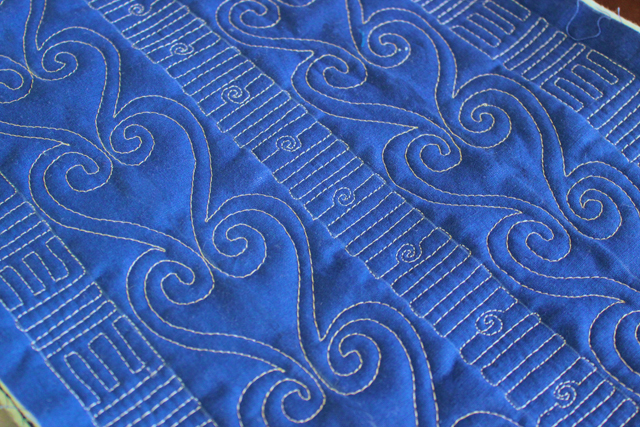 The curved version is a bit easier to stitch quickly and I use it in many of my quilts. 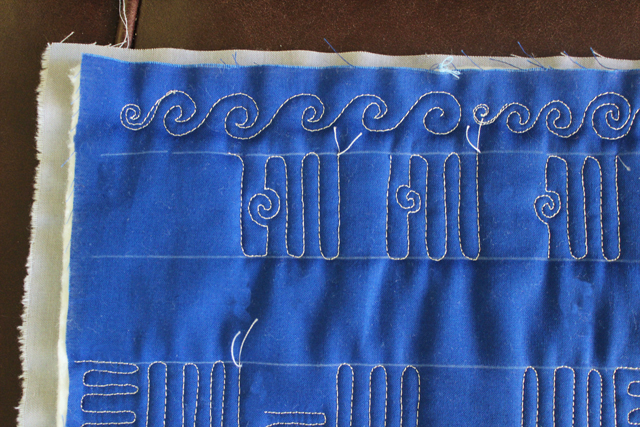 And our third motif today…Switching from vertical lines to horizontal lines periodically…Another pattern that always looks fabulous! 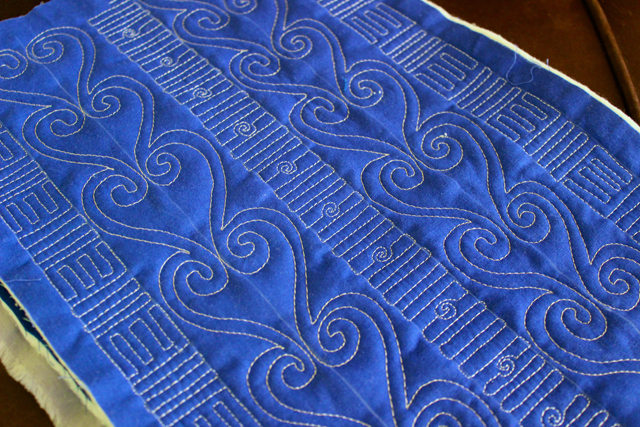 And check out the other tutorials in the “Quilt/Tutorial” Tab above. More Spirals are HERE and the Spiral Hearts are HERE. Great post, as always – you make it look so simple! How about Thursday’s Theme? I am a fan of alliteration, too! Love it! Perhap I’ll do The Thoughtful Thimble on Thursdays! How about Thrifty Thursday……….I was just at a quilt “sale” where the fabric was marked down to $10-11/yd…. Compared to European prices, that is cheap, girls! 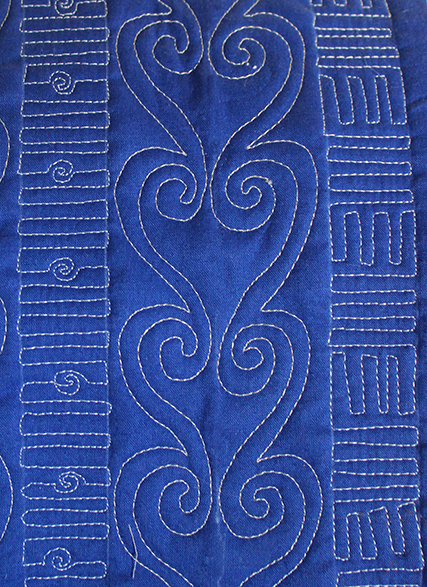 Regular fabric are 18 euros per meter, that is about 24 US dollars!!! You always come up with such fantastic designs! 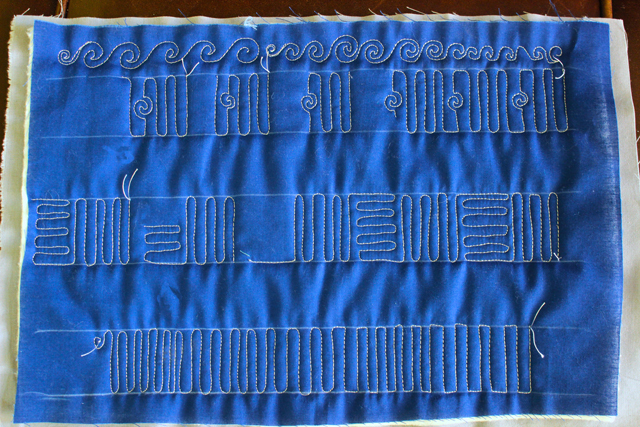 I particularly like the straight lines with the little curl in the middle. Thanks! I just love to doodle!